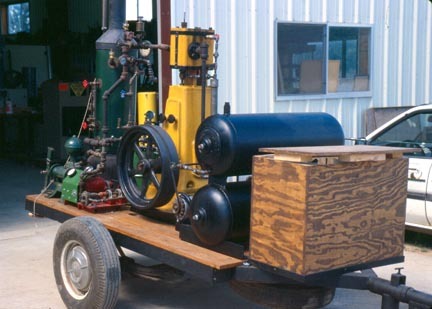 Wach 4 x 5 stationary steam engine with a propane fired fire tube boiler. This engine has an enclosed crank case with a very nice worm gear actuated oil pump. 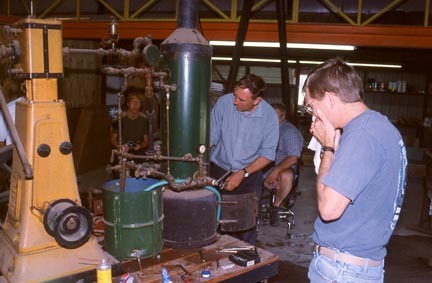 These photos from 2003 are of Rod Muller of Strath Steam fame from Australia who was to my shop visiting. He saw all of the steam engines and immediately started to get one running. 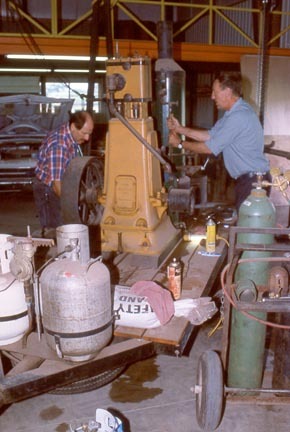 This 4 x 5 Wach engine and propane fired vertical fire tube (VTF) boiler were mounted on a trailer where the previous owner had hauled them around to fairs and shows in order to have a running steam engine display. 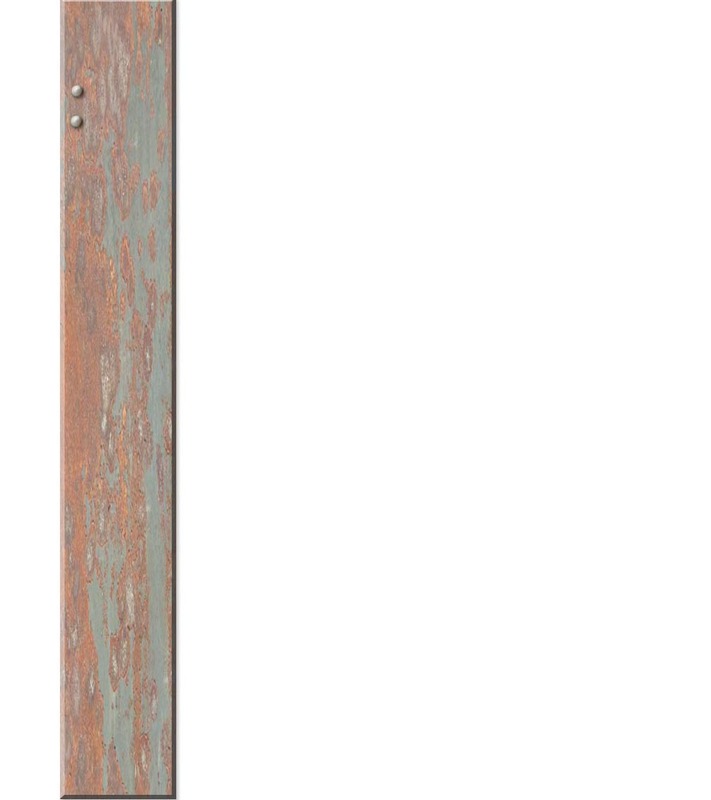 The boiler and burner are far too small for the engine and are just able to keep it ticking over slowly and without a load on it and at 50 psi steam pressure. The Wach engine is beautifully made.